The caetra, describes the small round shield of the skirmisher as opposed to the heavier and longer scutum of the main battle line warriors. In truth, however, the difference wasn't so defined. 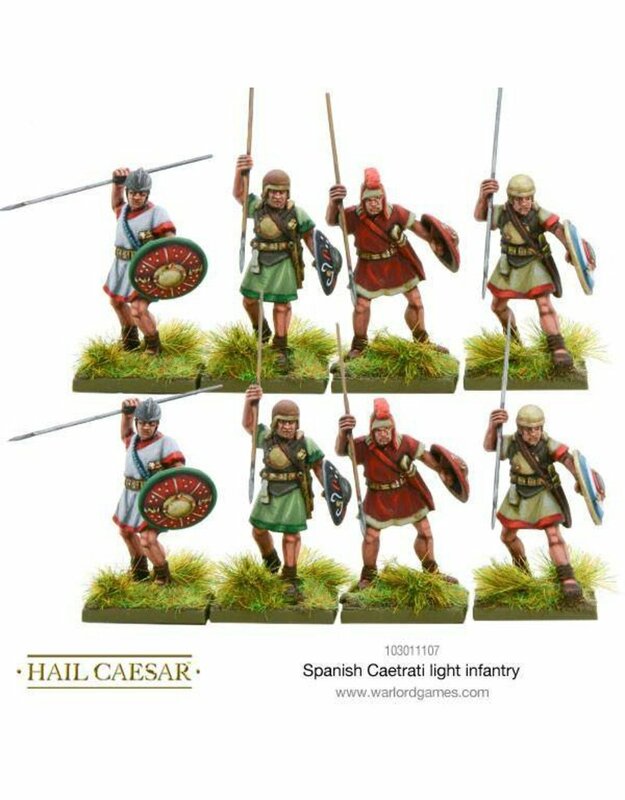 The Spanish excelled in guerilla tactics, using the difficult terrain of their homeland to good effect, executing swift sharp raids upon the unsuspecting Roman legions. This kind of warfare was new to the Romans and they learned quickly. The experience against the Spanish tribes was responsible for a number of martial reforms within the Republic in order to defeat this new enemy and Rome was forced to utilise every method available to them, in order to subdue these ferocious hardened warriors.